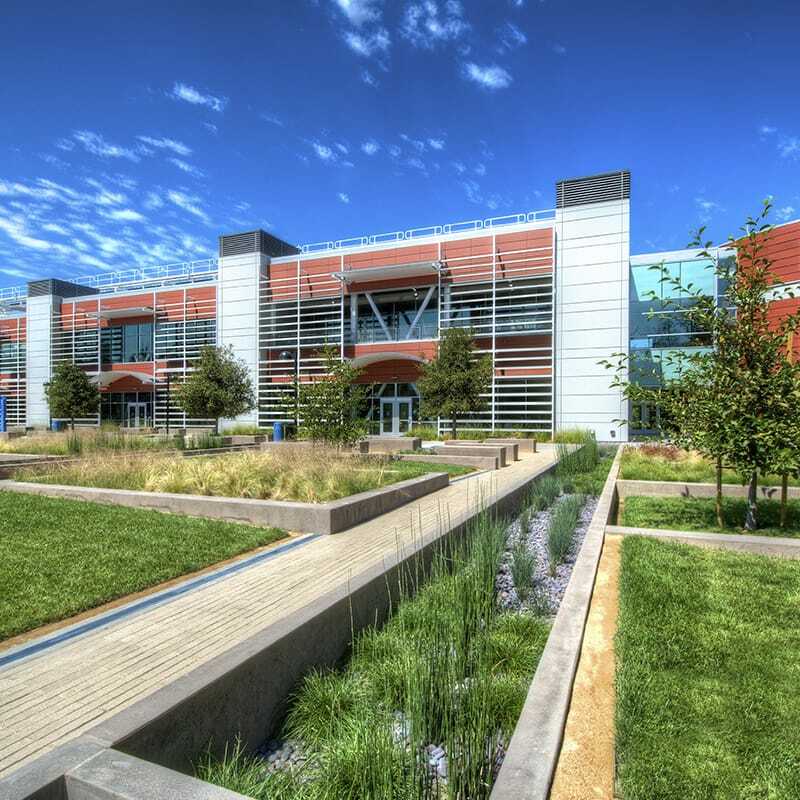 The District has long demonstrated a commitment to sustainability, and Gilbane successfully delivered nine LEED-certified buildings, ranging from Certified to Platinum. 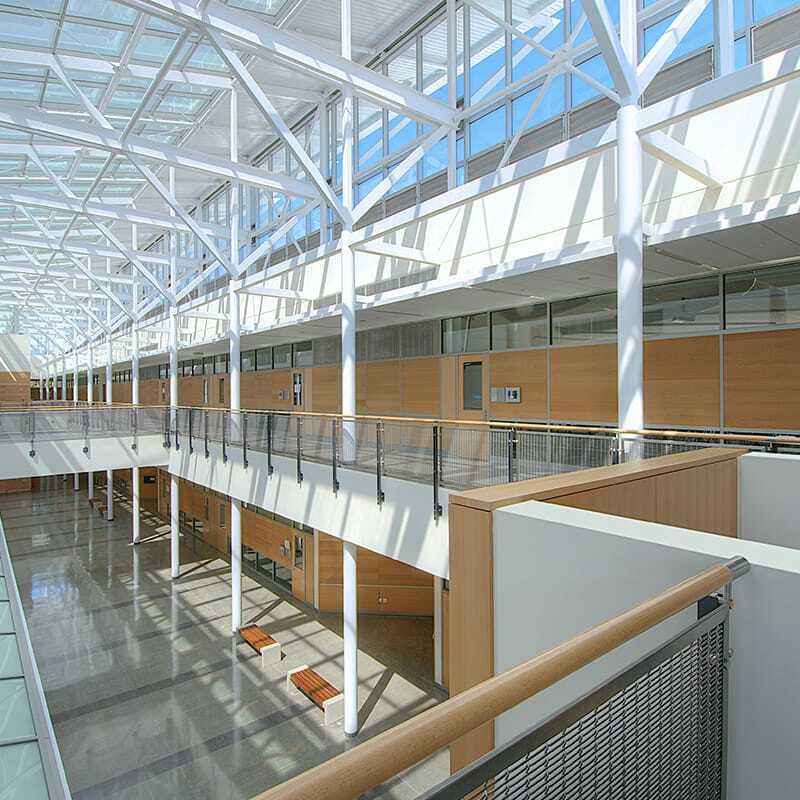 Gilbane has provided Program and Construction Management services to the Foothill-De Anza College District throughout its long-term capital improvements program, which has been funded by bond Measures E and C. Beginning in 1999, with the passage of Measure E, the District embarked on implementing its seven-year vision which consisted of new construction, renovation, and maintenance projects spread over the two college campuses. In 2006, subsequent bond Measure C was passed, expanding the capital improvement program to include more than 200 large and small projects . 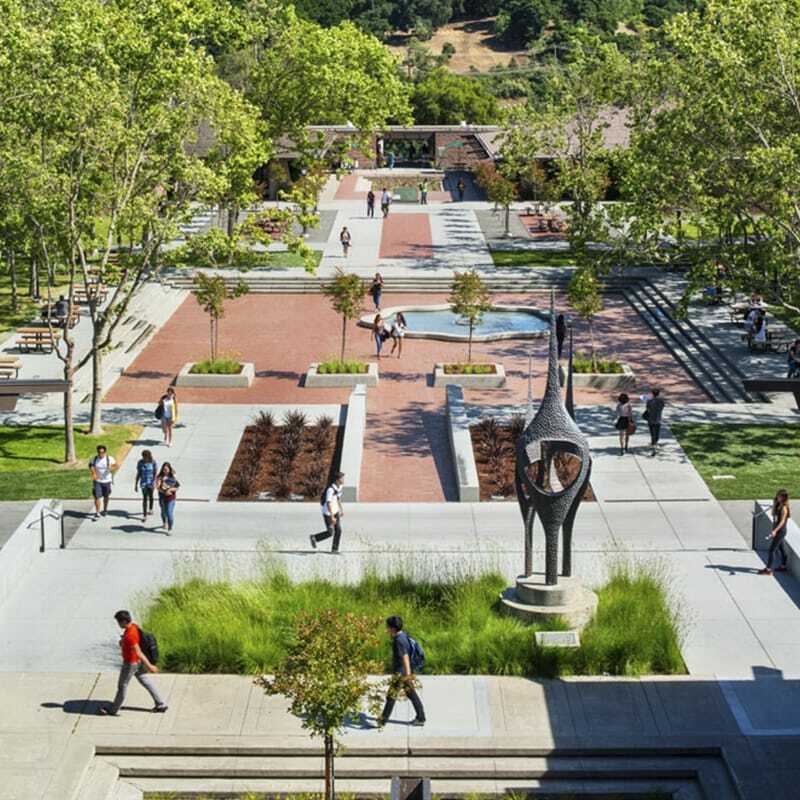 Major accomplishments on the Foothill campus include the Dental Hygiene/Radiology renovation; the Japanese Cultural Center; the Physical Sciences and Engineering Center; and Phase 2 of the parking and circulation plan. 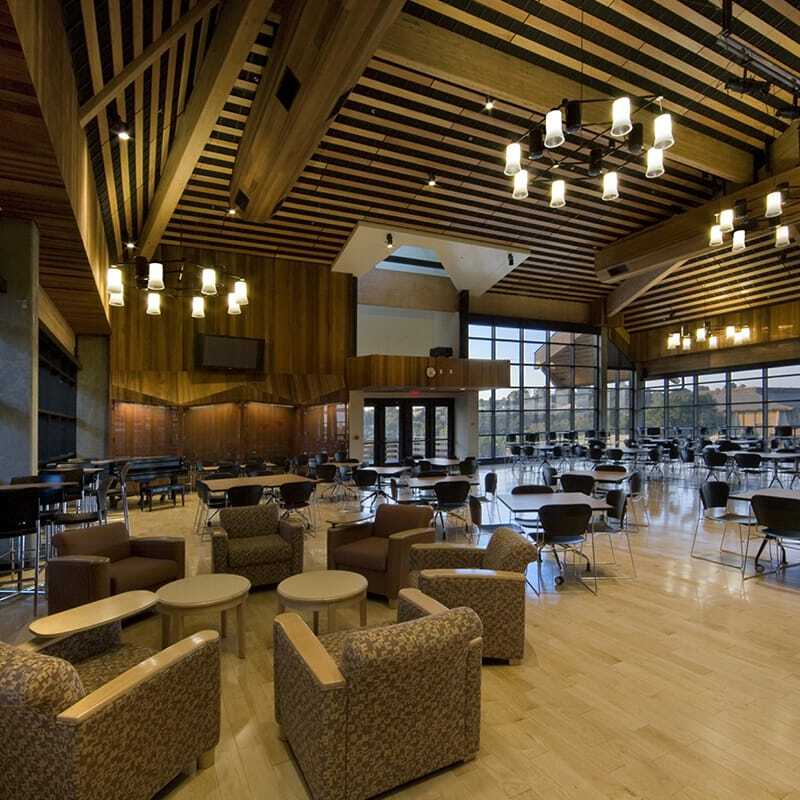 De Anza’s successful projects include the Advanced Technology Center renovation; the Library renovation; the Media and Learning Center; the Stadium and Track renovation; and the corporate yard renovation. Both campuses have benefited from upgrades to electrical, heating, and ventilation systems; fire and safety systems; signage, parking, and landscaping; and repair, construction and expansion of classrooms and support facilities. In addition to our construction management services, Gilbane also created a program mobilization plan, developed and tracked a master schedule and program budget, established design criteria and standards, provided program-wide contracting strategy and methodology, and created both a procedures manual for bidding and construction and a detailed outreach program. Furthermore, the District has long demonstrated a commitment to sustainability and Gilbane successfully delivered nine LEED certified buildings, ranging from Certified to Platinum. Gilbane took a proactive approach while working on a project to relocate the campus’ main gas utility meter and associated gas distribution piping. The local utility company required a gas load analysis to verify if the existing meter had capacity to serve the campus in its new location and accommodate future expansion of campus facilities. Gilbane recommended hiring a mechanical engineering firm to provide a gas usage assessment and make recommendations. Within a few days of the design kickoff, the mechanical engineering firm submitted a change proposal to the District and asked for $8,500 additional cost for a site visit. The original agreement was to be based on existing construction drawings and utility plans. The engineer requested machine plates, model numbers, and additional information to verify accuracy of the calculations. Gilbane decided to perform our own site investigation, along with campus staff, to obtain all the existing gas load information for the engineer as requested. Gilbane’s investigation and reporting took a fraction of the time quoted and was likely much more thorough. Gilbane was able to save money for our client while also expediting the design schedule without any delay.